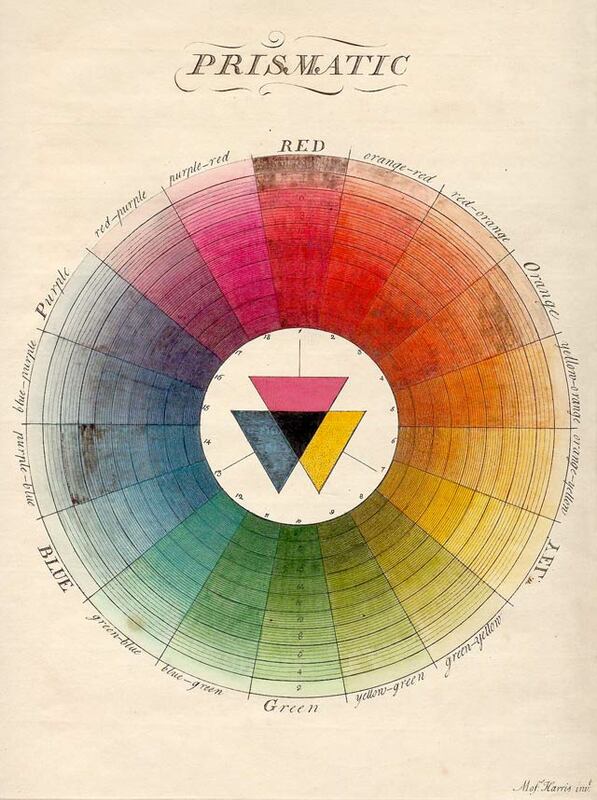 Our perception of color may be a matter of optics, ophthalmology, and neurology – but the way in which we think about color is as much a matter of cultural history. However inadequate, scientifically speaking, it is to describe the color-spectrum using a wheel-shaped model, there’s an irresistible fitness about marrying circles with color. As a geometric figure, circles possess a certain strength, a self-contained quality in which a smooth, unperturbed body can be imagined to hold an entire universe. Sometimes the pod will crack, spilling its contents with rampant energy, or maybe the circle holds indefinitely. For an entity as slippery and ubiquitous as color, only a circle can be imagined as a perfect enough shape to contain all of it. And indeed, if you have an eye for it, color wheels can be found anywhere.